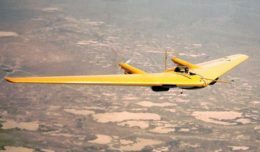 Boeing has successfully completed the first suite of synchronized unmanned aerial vehicle flight tests using new on-board autonomous command and control technology developed by Boeing in Australia. “What we’ve created here in Australia has the potential to transform the use of unmanned vehicles for civil, commercial and defense applications – whether that be in the air, on the ground or out at sea,” said Shane Arnott, director of Boeing Phantom Works International. Boeing’s partnership with small and medium-sized enterprises helped drive rapid design, development and testing of this autonomous technology. In just two months, Boeing engaged small-to-medium enterprises and vetted and issued AU$2.3 million in contracts with 14 Queensland businesses.